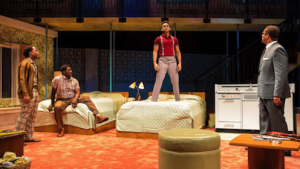 Last October, One Night in Miami premiered as a Miami New Drama production at Miami Beach’s Colony Theatre, starring New York Film Academy (NYFA) Acting Alum Kieron Anthony as legendary fighter Cassius Clay. The play was written by Kemp Powers and staged by Miami native Carl Cofield, associate artistic director of the Classical Theatre of Harlem. 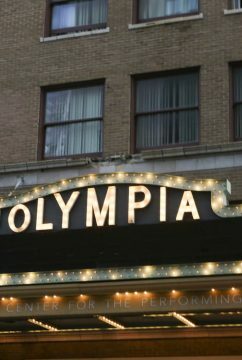 It imagines the events of February 25, 1964, after Clay had defeated Sonny Liston and won the World Heavyweight Crown. After the fight, Clay was joined at the Hampton House Motel Room by three other famous men of color — Sam Cooke, Jim Brown, and Malcolm X. While only the surviving member of the foursome, Jim Brown, knows what the men really discussed that night, One Night in Miami postulates what could have been happened when four such prominent personalities are confined in a small room after such an incredible evening. The play, which takes place during Segregation, also incorporates important themes of race and religion in the 1960s. Anthony graduated from New York Film Academy South Beach’s 1-year acting conservatory in 2015. 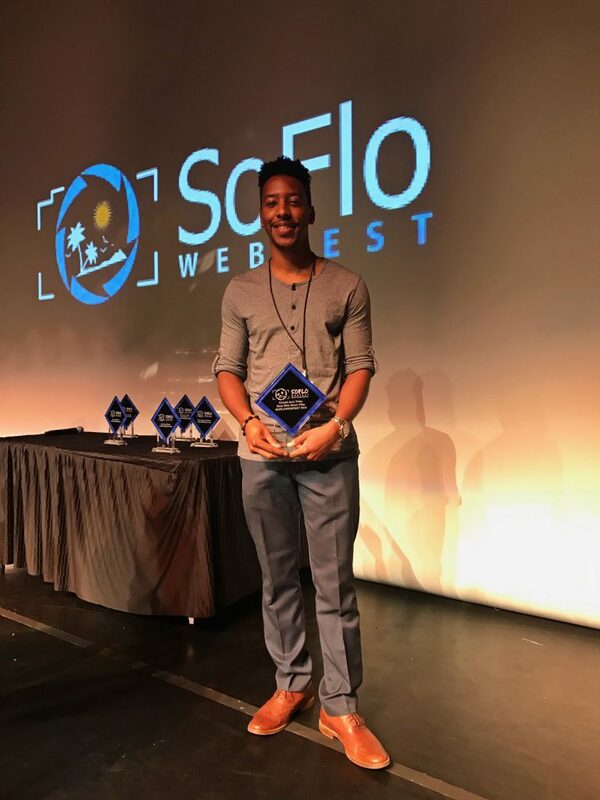 As part of an extremely diverse student body with classmates from around the world, Anthony received an educational experience unique from other acting schools in Florida, focusing on hands-on experience from faculty members currently working in the Miami acting scene. The New York Film Academy congratulates Acting alum Kieron Anthony on his stellar performance as Cassius Clay in One Night in Miami! 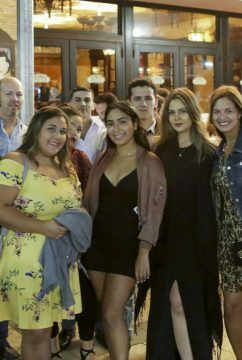 Earlier this November, students from New York Film Academy’s South Beach campus attended the opening night of the 8th Annual Recent Cinema From Spain film series in Miami, Florida. 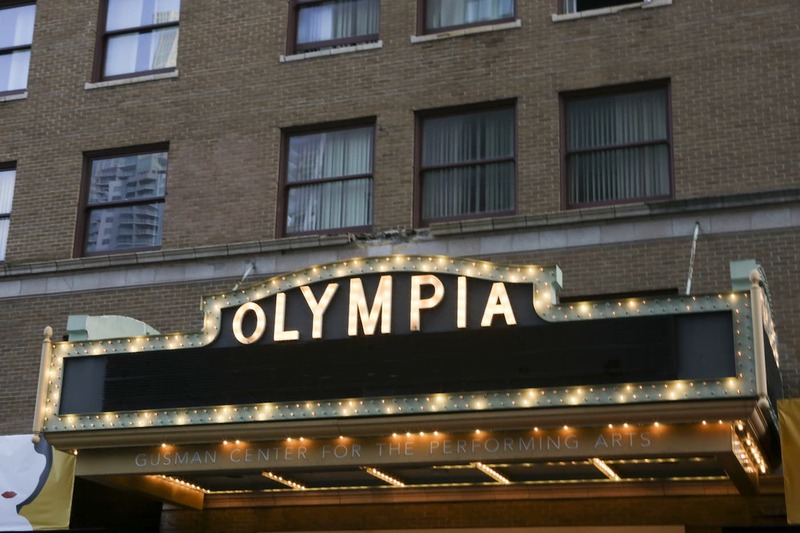 Recent Cinema From Spain is produced by EGEDA US and The Olympia Theater in collaboration with the ICAA and the Centro Cultural Español in Miami (CCEMiami), and has run for the past seven years. 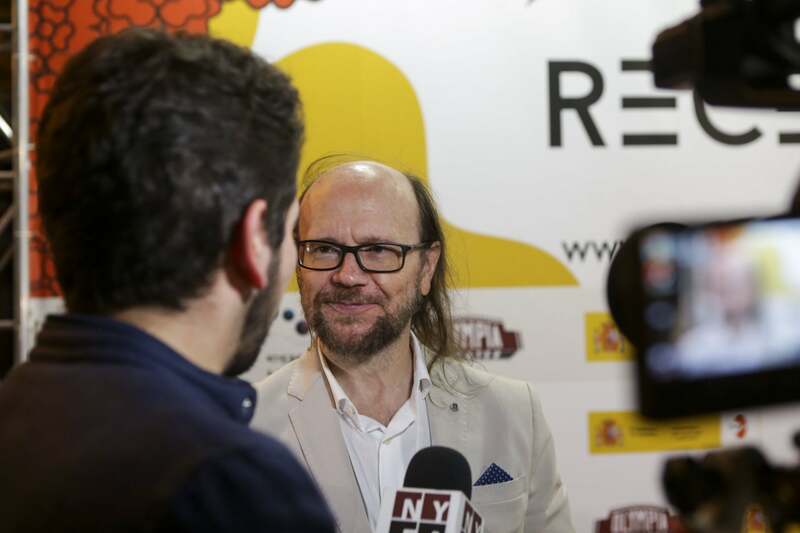 The aim of the festival is to celebrate Spanish culture, including everything from art to music to food, and of course, film. 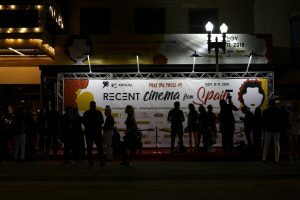 This year’s Recent Cinema From Spain showcased six films, including Carmen Y Lola, Petra, Everybody Knows, and the US premiere of The Realm, a political thriller by the producers of Secret in Their Eyes. 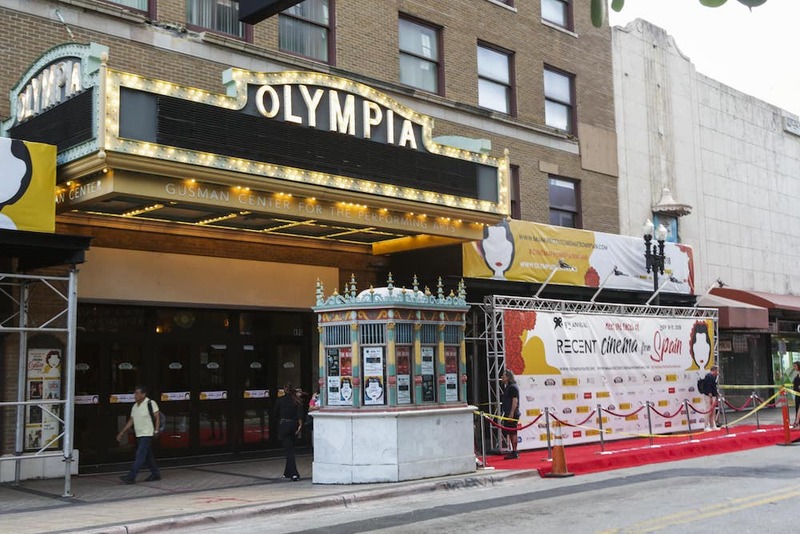 The opening night was Thursday, November 8 and included a red carpet event at the Olympia Theater, a landmark institution built in 1926 that has been a frequent hub of activity for the South Florida arts community. 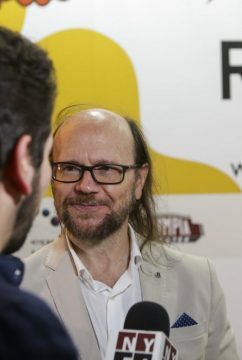 It was attended by, among others, several Spanish film celebrities as well as EFE Agency and Hola TV. Roughly a dozen students from New York Film Academy (NYFA) attended. This included students from NYFA South Beach’s BFA Acting for Film program, BFA Filmmaking program, and MFA Filmmaking program. NYFA’s degree programs are offered to and designed for students who wish to integrate intensive professional training with a comprehensive liberal arts education, helping them to become fully prepared for their chosen career path in the performing and visual and entertainment arts. 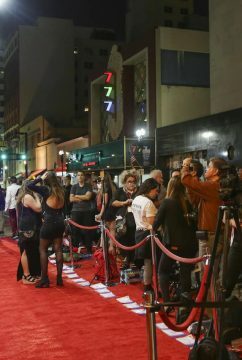 In addition to the students who attended, a crew of three were able to conduct interviews on the red carpet. 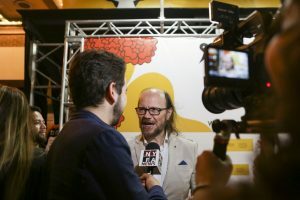 This included Steven Fares as the interviewer, Florencia Portieri as camera operator, and Ramon Burki as still photographer. 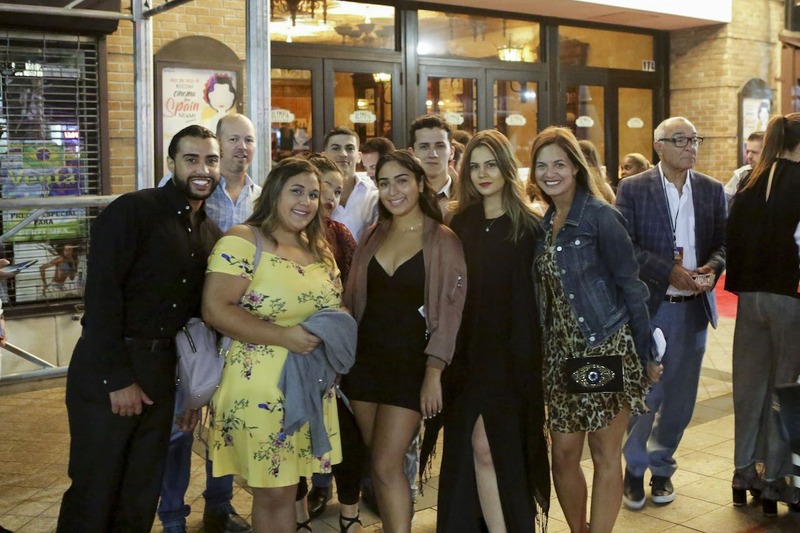 The NYFA South Beach students who attended Recent Cinema From Spain had a wonderful time, and were greatly appreciative of the exposure to the Spanish culture offered by the festival. No doubt the NYFA students who attended were inspired to get back to their studies and work on their own films that may very well be screened at the next Recent Cinema From Spain fest! 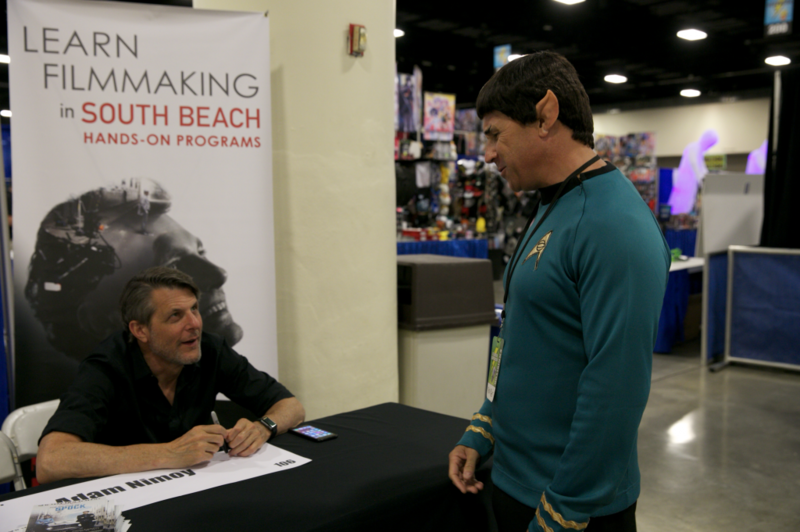 We were honored to be a part of Adam’s promotion for his documentary “For The Love of Spock.” Star Trek fans from all over excitedly came to meet Adam and learn more about his journey as the beloved son of Spock. During the 4-day event, film buffs, comic book lovers, and anyone who loves a good excuse to play dress-up swarmed the convention center. 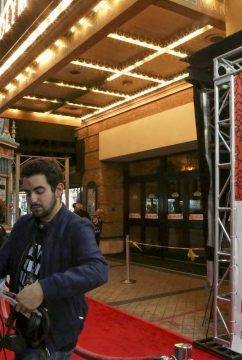 Our NYFA South Beach booth was located in celebrity row, where fans swarmed Adam’s booth for autographs and personal pictures. NYFA got a first row seat to see how passionate the Star Trek fanbase is. There were Star Trek tables dedicated to the franchise, which also included a life-size captain’s chair that Adam couldn’t help but sit in and reminisce. At another end of the convention center, you could find a life-size version of the space station set where all the Star Trek characters would be found in a typical episode. 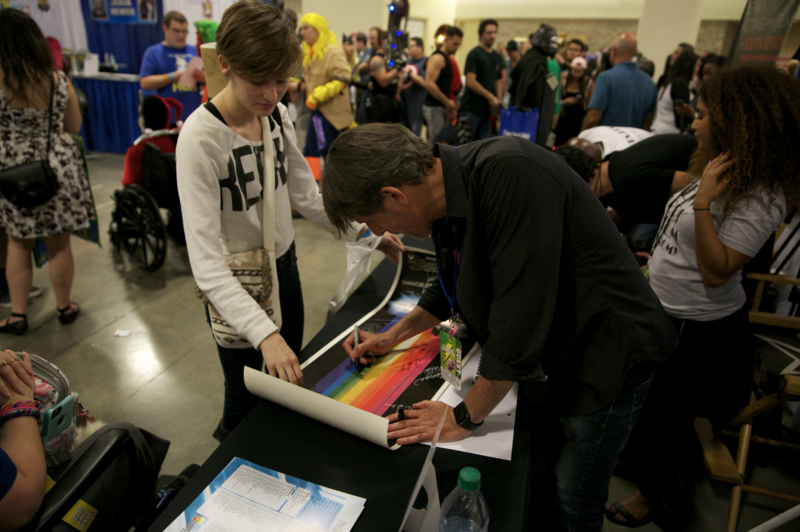 Fans lined up to take photos with their family and friends, pretending to play the role of their favorite Star Trek character. Adam’s Q&A on Saturday, which was moderated by South Beach Acting for Film Chair Mark Mocahbee, engaged fans that genuinely loved his documentary and were interested to learn his journey and process while making it. Adam ended his Q&A with a special surprise for everyone by premiering the teaser trailer of his newest project, “What We Left Behind: Looking Back at Deep Space Nine.” The crowd of about 200 people that filled the Q&A room was overwhelmed by excitement to be the very first to see his new trailer. Moments after the Q&A, the NYFA booth filled with fans that had just been at Adam’s panel hoping to speak to Adam directly and get an autograph. For particularly impressive costumes, Mr. Nimoy would request photos with fans, which served as memorable moments for Trekkies. 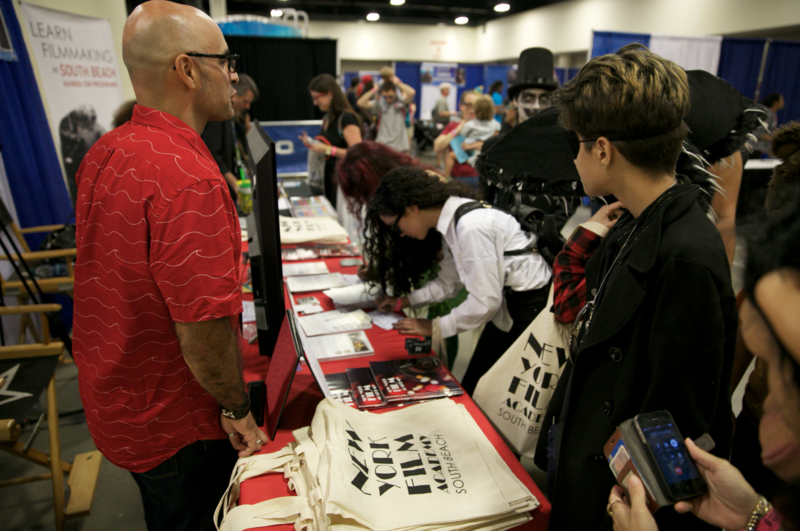 All in all, NYFA South Beach’s takeover at Supercon in Fort Lauderdale was a tremendous success and the Academy hopes to play a part again next year. South Beach’s star is rising. 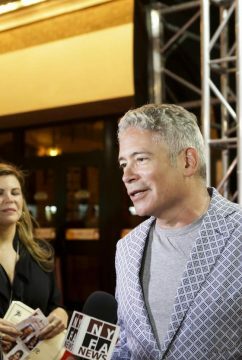 Miami-Dade County’s reputation as an excellent filmmaking location has been cemented once again with a new announcement by the Department of Regulatory and Economic Resources. 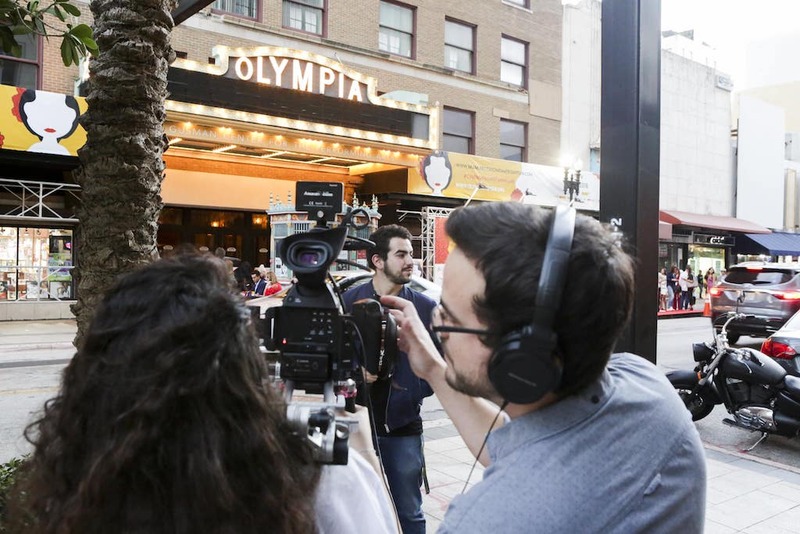 A new local TV/film and digital entertainment production incentive program will soon boost and support film and entertainment projects and help improve the local economy and industry workforce. 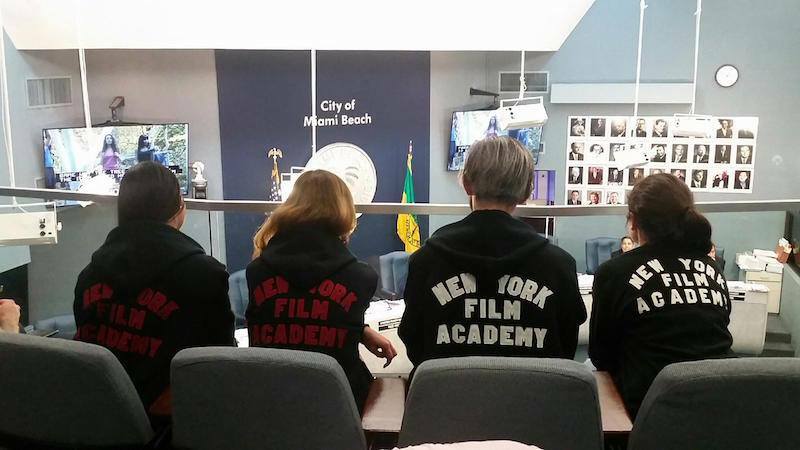 New York Film Academy in South Beach has followed the intense process and attended numerous meetings — including the first, at the Commission Chamber of Miami-Dade County on April 26, for incentives for the City of Miami Beach. 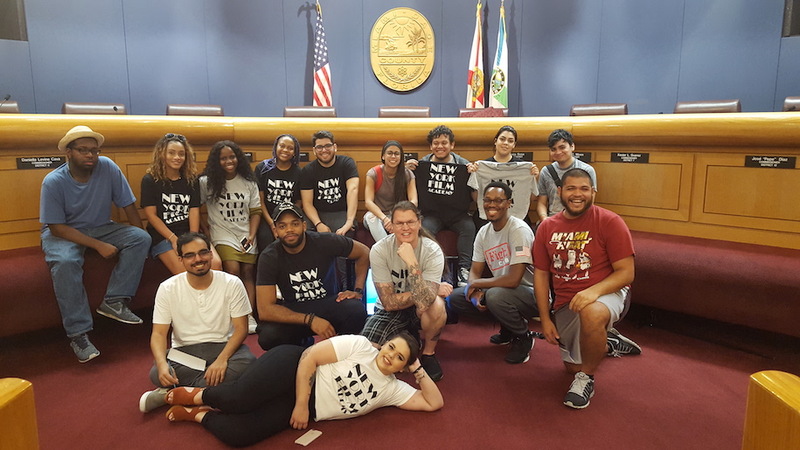 Following were county-wide meetings on June 23, July 13, and July 18, all of which saw NYFA South Beach students and faculty attend to express their support. What does this mean for students & future film graduates of Florida? 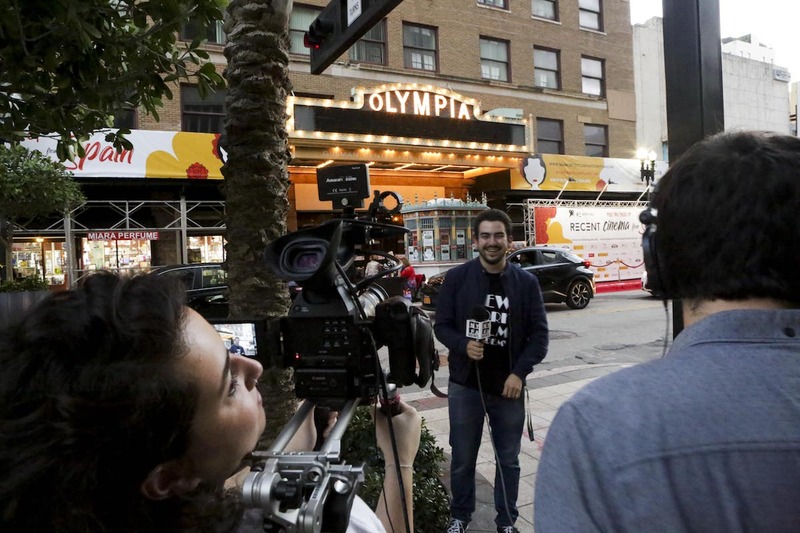 Students in South Florida will greatly benefit from the incentives as they reward filmmakers and production companies for hiring students or recent grads. Monetary breaks and rewards will also be available to hand-picked films that keep production local and meet specific criteria. This will help keep production in Miami and give more job opportunities to those who study or have studied film. The aforementioned criteria is included below. At least $1 million must be spent during production in Miami-Dade County on payroll (for Miami-Dade County residents only) and other expenditures. 70% (or more) of the entire production must be produced in Miami-Dade County. Each production project is required to hire a minimum of 50 main cast and crew (employees) that are Miami-Dade County residents and must include at least one student/recent graduate who is enrolled at or recently graduated from a local college or university. Students do not have to be residents to qualify. Salaries for Miami-Dade County residents hired must be a minimum of the current living wage as defined by County law. 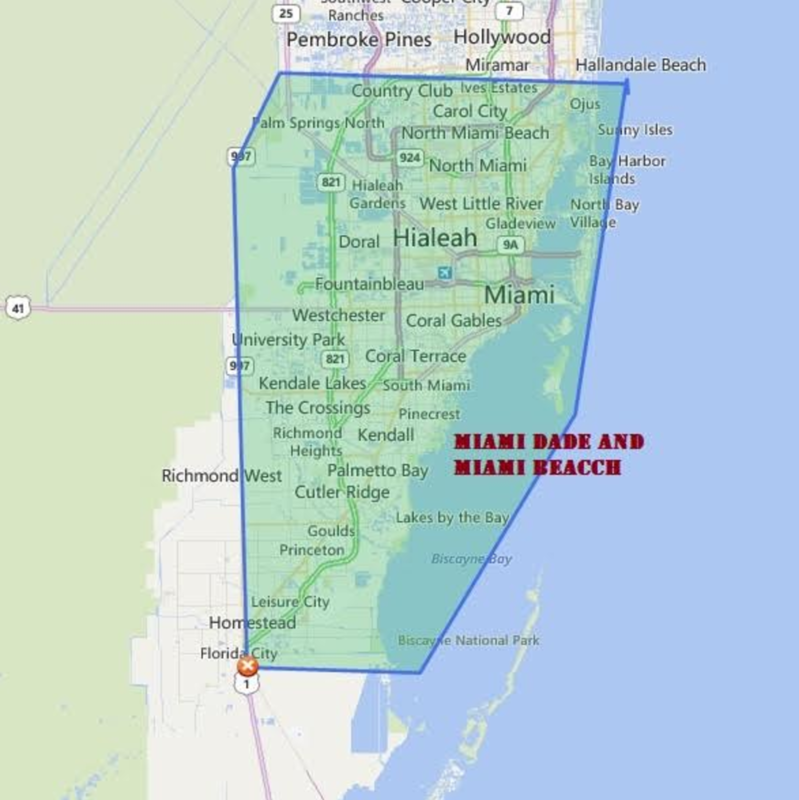 A minimum of 80% of vendors used on the production project must be Miami-Dade County-based registered businesses. 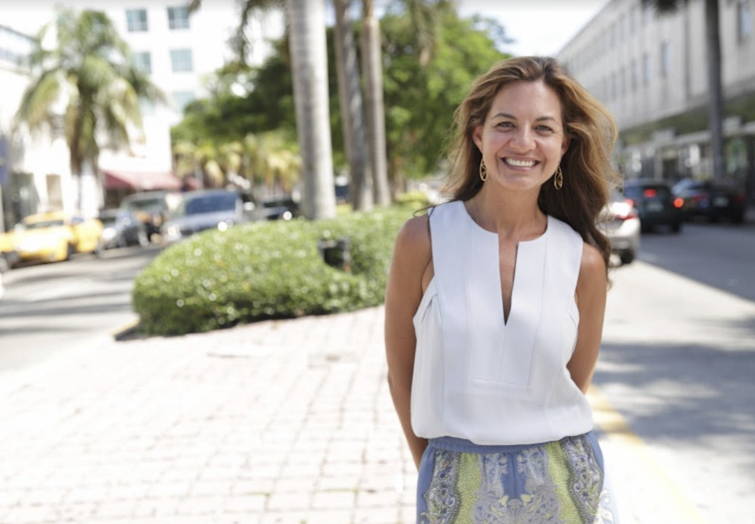 These factors will help ensure film production, when possible, will remain local, in beautiful Miami. 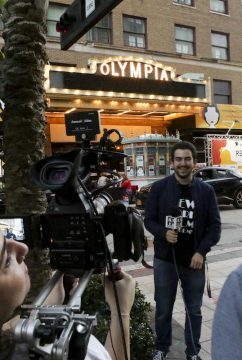 Students and alums of schools such as NYFA will have more opportunities to get hands-on experience as the new law will incentivize filmmakers who hire at least one student or recent graduate. 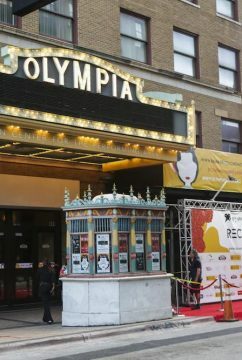 Up to $100,000 per project will be the rebate for qualifying productions. Eligible projects will be decided on an individual basis, and each project and grant agreement will require approval by the Board of County Commissioners. 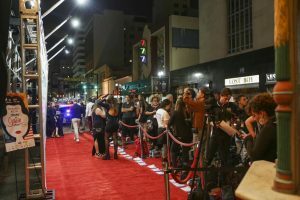 Miami has served as the primary location for many notable films, including such classics as “Scarface,” “Caddyshack,” “The Godfather II,” and the Oscar-winning critical and box office smash “Moonlight.” With the recent vote, many more filmmaking luminaries are sure to choose Miami as a production destination. For more information on the TV/film and digital entertainment production incentive program, visit the Office of Film and Entertainment. 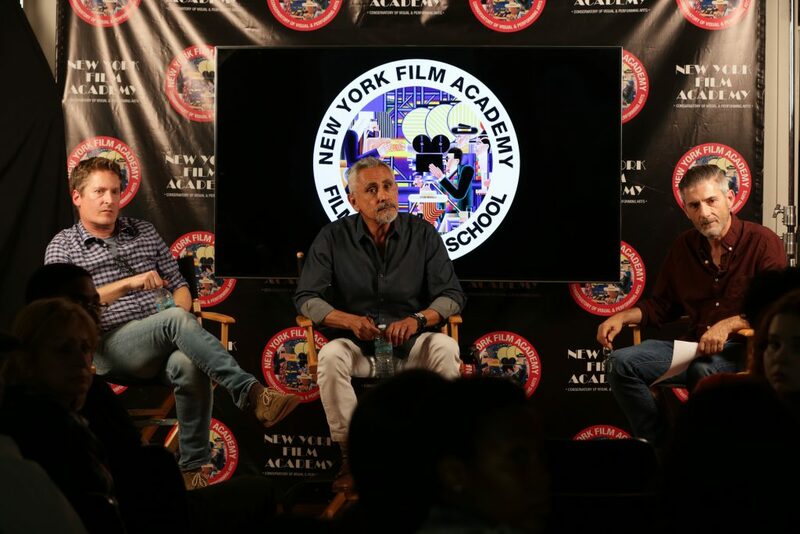 For more information about New York Film Academy South Beach, visit our website. New York Film Academy South Beach faculty teamed up to produce the short film “Scenes From Our Young Marriage,” which will premiere at the Miami Film Festival on March 11, 2017. 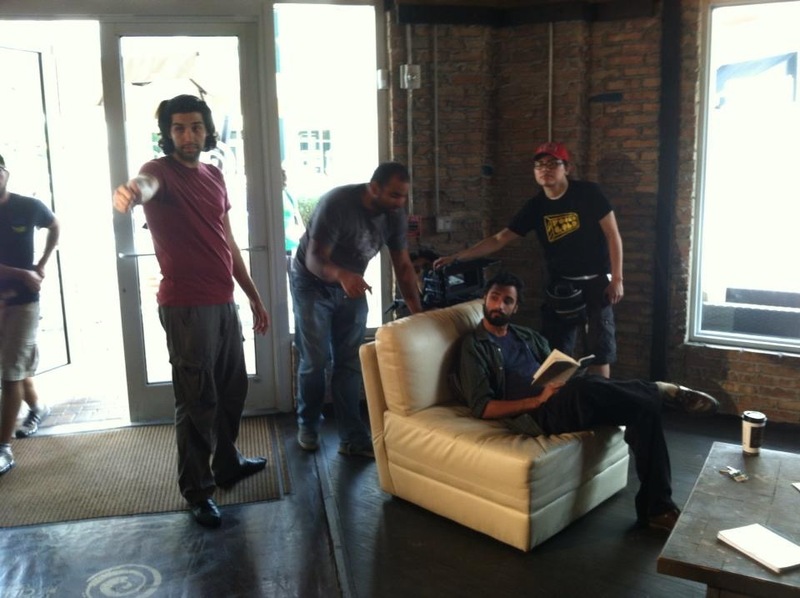 Ronald Baez, who will soon be teaching producing at NYFA South Beach, directed the film; Kevin Ondarza, NYFA South Beach Equipment Room Manager is a producer; Eddy Moon, NYFA South Beach Editing Room Manager, is a co-writer and producer; and Kyle Fritsche, NYFA South Beach Editing Room Supervisor and Facilities Coordinator, is the editor of the film. 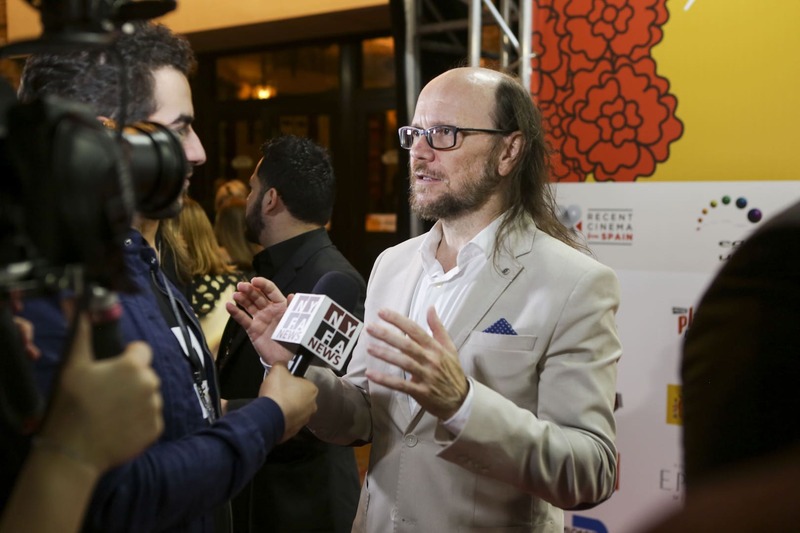 Founded in 1984, The Miami Film Festival is a charity that connects art with audiences, and fosters a value for cinema for future generations. Stars that have graced their red carpet through the years include Gregory Peck, Sofia Loren, Kris Kristofferson, Candice Bergen, Kevin Kline, Michael Caine, Antonio Banderas, Melanie Griffith, Willem Dafoe, Demi Moore, Amy Irving, and many more. In the film, “Scenes From Our Young Marriage,” a young couple shares seemingly innocuous conversation in bed as we explore the emotional vastness of their short tenure in marriage. The official Florida premiere screening will be March 11, 2017 at 3:30PM at O Cinema Miami Beach. On Monday, January 30th, the New York Film Academy South Beach welcomed award-winning and Emmy nominated director and producer, Carlos Sandoval, for a special screening of his 2009 American Experience historical documentary, “A Class Apart,” which has been optioned by Eva Longoria to be turned into a feature narrative, and is currently in development with a major studio. 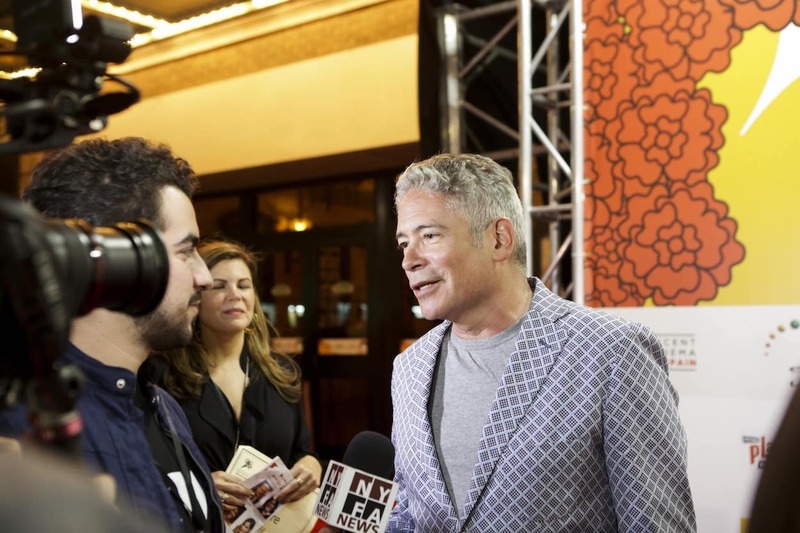 Joined onstage by his Associate Producer, Jordi Valdés, current NYFA South Beach faculty member, the event was moderated by Mark Mocahbee, Chair of the NYFA SB Acting for Film Program. The screening was followed by an engaging Q & A with the student body. 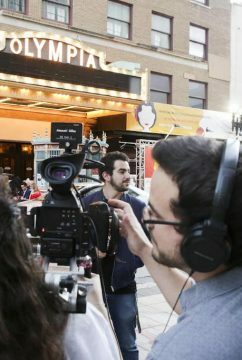 Inspired by the enthusiasm of the students, Sandoval covered a wide range of topics, including recounting his story of how he came to make his first documentary “Farmingville” (ITVS) at 49 years of age, which consequently went on to win the Special Jury Prize at the 2004 Sundance Film Festival. Referring to himself as “the accidental filmmaker,” he originally came to the story in part, moved by a headline “They Wanted to Get Some Mexicans” in the local newspaper (Newsday) regarding the attempted murder of two Mexican day laborers on the Long Island town of Farmingville. Carlos originally had thought as a former lawyer, policy wonk and journalist to potentially get involved in the issue(s) from the legal perspective yet ultimately came to realize that he felt compelled to do more. 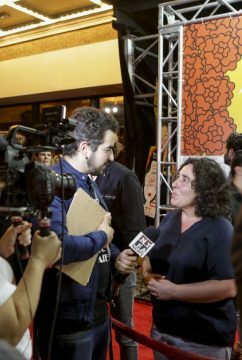 Of Mexican-American and Puerto Rican descent and having grown up in the southwest “the echoes of segregation were around us while I was still growing up,” Sandoval recounted. “I never thought I’d see a headline like that again, in what had just become the Twenty-First Century.” It was the power of story and, in particular, the power of the ability of the film medium to, “work and get at people through their emotions; through story” that propelled him to give documentary filmmaking a try. In “A Class Apart,” Sandoval would once again find himself returning to issues dealing with the discrimination of Mexican-Americans, but this time in a historical context. Pooling from his own documentary filmmaking experiences, Sandoval discussed the differences in approach, the process and the challenges between making a historical documentary such as “A Class Apart,” and making verité docs such as “Farmingville” and his Emmy nominated and most recent feature length film, “The State of Arizona” (PBS). 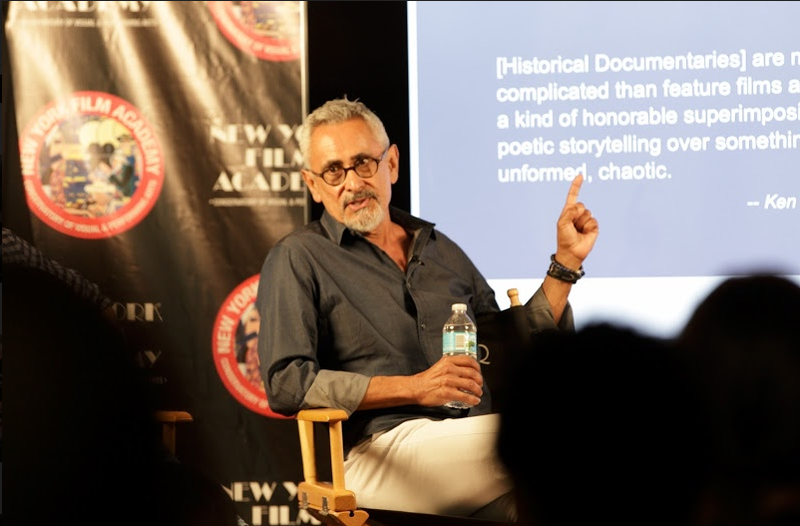 The school would like to extend its thanks to Carlos Sandoval for taking the time to share his stories and advice with the NYFA SoBe student body. On Sunday, October 23, the sky of North Miami Beach’s Haulover Park was inundated with a kinetic vibrancy seen at this magnitude only once a year. The 24th edition of Kitetoberfest, ascended over the park; below, hundreds of onlookers and participants wandered the ample grounds, navigating food trucks, kiosks, face painting, and carnival games on the edge of a wide, open field perfect for flying. 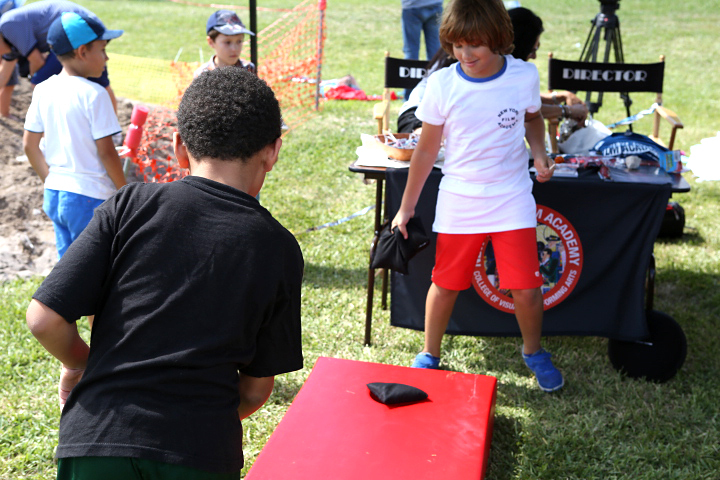 New York Film Academy’s South Beach campus brought our team to take part in the festivities and introduce ourselves to our new neighbors to the north: bringing tote bags, t-shirts, and streamers to offer as prizes to whoever stopped by the bean bag toss under our new NYFA Big Top. 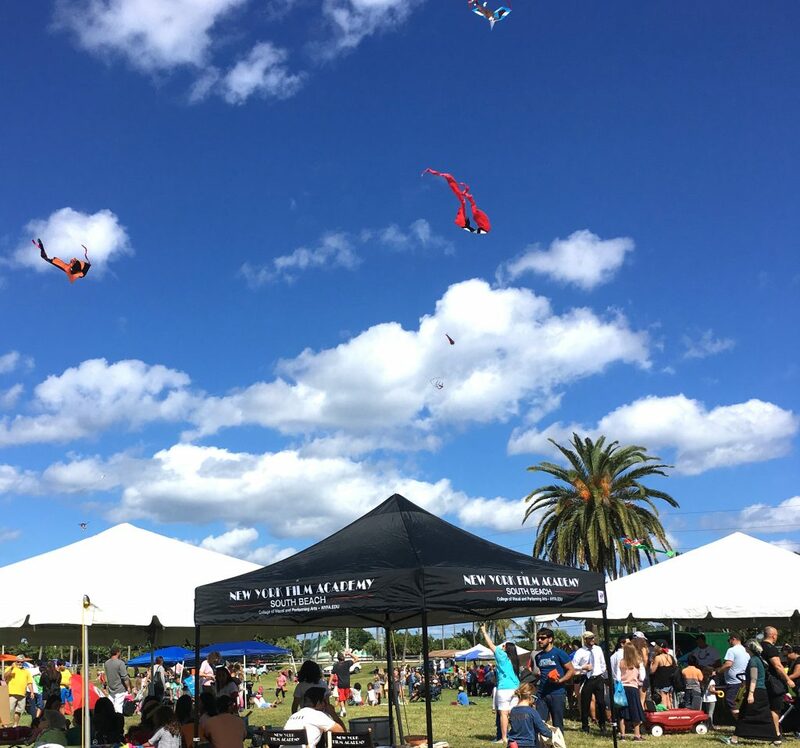 Kitetoberfest is a free event that takes place annually at Haulover Park in North Miami Beach, FL. Located in the heart of gorgeous South Beach, New York Film Academy SB offers a wide range of degree, conservatory, and workshop programs designed for students to achieve their learning goals in the amount of time that is best suited for them. We hope this will be the next of many partnerships between NYFA and the South Florida community. 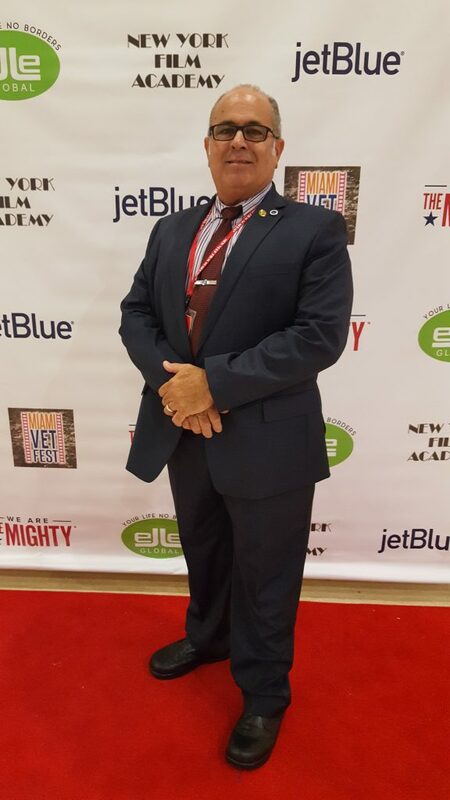 New York Film Academy Veteran Services Coordinator, Juan Duenas on the red carpet at the Miami Vet Fest. 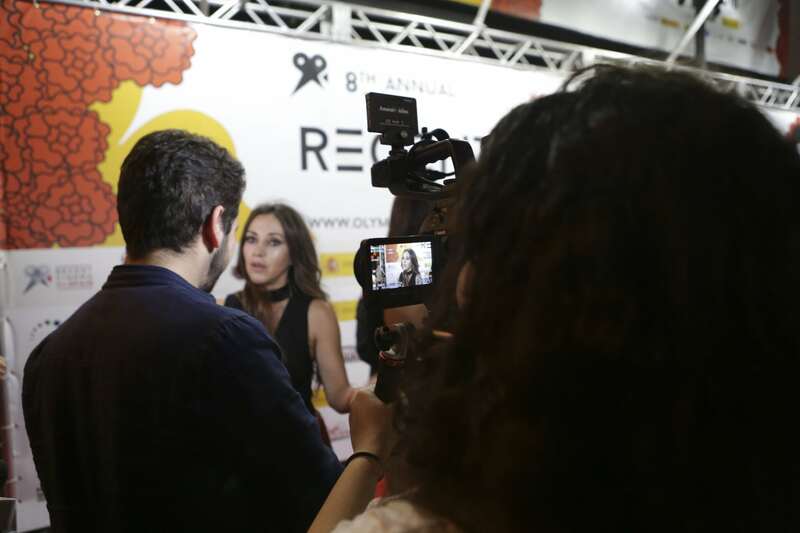 The Miami Web Fest is a four-day event showcasing the hottest new web series content from around the world. The festival is designed to create a work-play environment, attracting Miami’s vast and multicultural community of arts enthusiasts. During the Miami Web Fest, NYFA Filmmaking instructor Herschel Faber taught an exclusive Master Class for interested filmmakers. The workshop provided an overview of the importance of the screenplay, tips and tricks for making filmmaking dollars go further, shot framing, cinematography, and working with talent. The session provided a great overview of filmmaking with a concentration on utilizing storytelling in a visual and dynamic way. 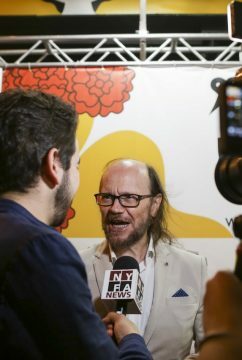 Professor Faber, who teaches Filmmaking at NYFA South Beach, brought a wealth of experience as he has spent the last 16 years working as a writer, director and producer of film and TV. 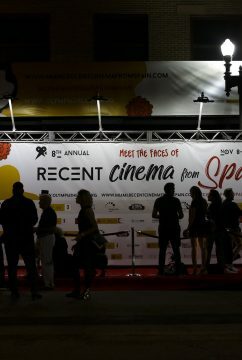 The event also featured the VET Fest, which is a division of the Miami Web Fest designed to showcase films and web series with military themes or films created by military filmmakers. 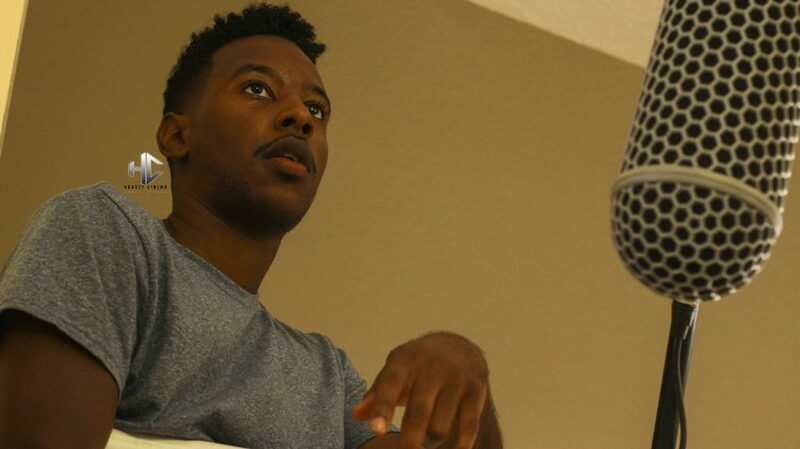 Bryan Thompson, a US Army Veteran and award-winning filmmaker created the VET Fest. 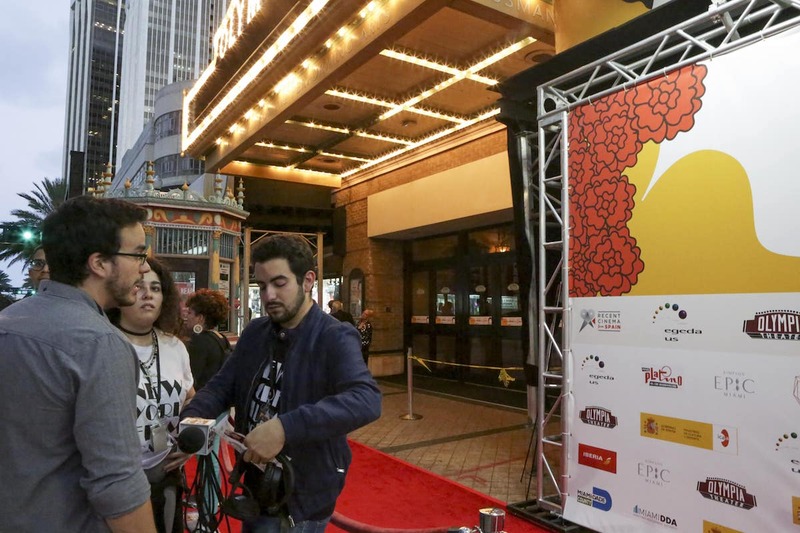 Veteran filmmakers from across the country met at the event to showcase their films. 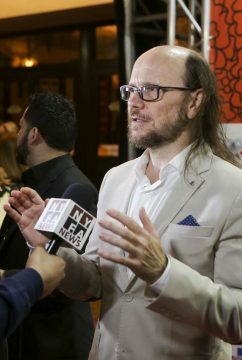 As part of the support of the Vet Fest, NYFA’s Veteran Service Division provided a Filmmaking Program Scholarship, which was awarded to the veteran who was selected in the category of the “Best Film in the Festival.” The winner has the opportunity to use the scholarship at any of NYFAs domestic campuses. 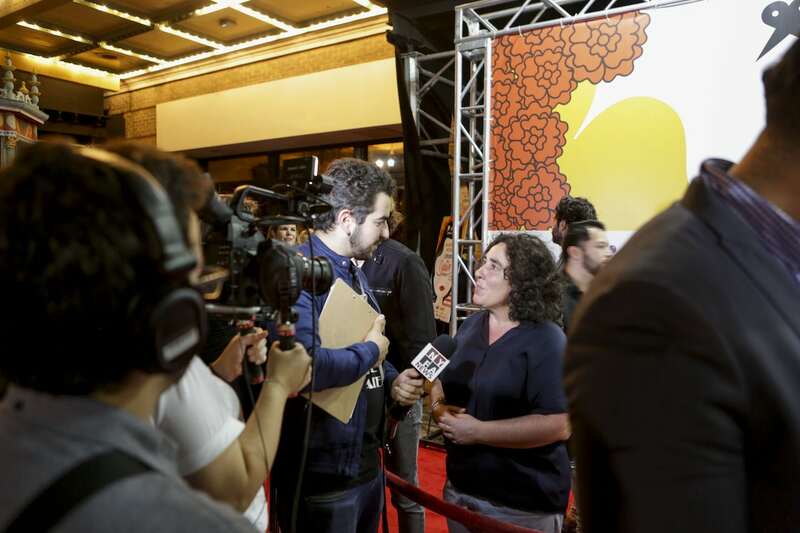 New York Film Academy College of Visual & Performing Arts, and the NYFA Veterans Service Division, are proud supporters of the Miami Web Fest and the VET Fest, which brought together hundreds of aspiring filmmakers including many service members. For more information on NYFA’s South Beach campus, please see miami.nyfa.edu.